A beer themed honeymoon in a beer themed hotel? Hell yes! Beer lovers unite!! All my fellow beer connoisseurs, I have some exciting news to share with y’all! 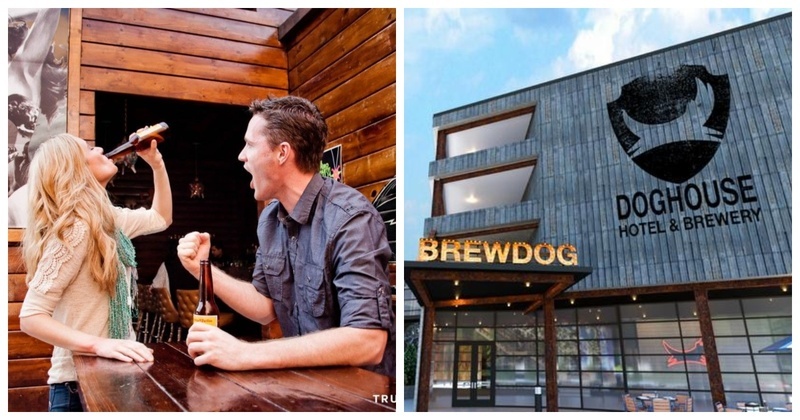 There is a beer themed hotel inside a taproom in Ohio! The DogHouse Hotel in Colombus, Ohio is the first of its kind hotel which has a mini fridge in each shower (yep, you read that right! ), a tap in each room and a spa that uses beer infused products. The lobby has games like beer pong and you are also invited to the beer museum. Sounds like an ideal place for your honeymoon after the hectic wedding, don’t you think? Just imagine waking up inside a brewery, to be surrounded by the 2 love of your lives 24*7! Win win! Checkout this video by INSIDER for more info! I can’t wait to wake up in my love’s arms and soak in its warmth.. I mean the beer, silly!